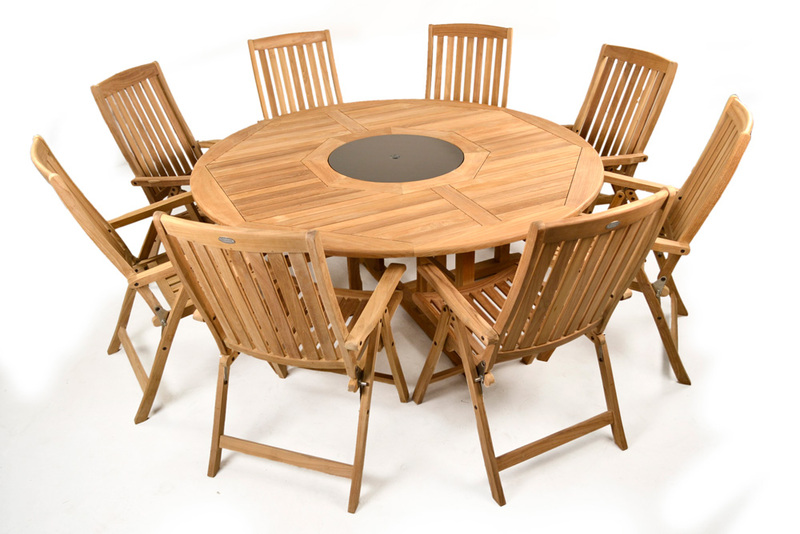 Stylish 8 seater round teak table. Made from the finest Grade A Teak this classic teak garden table is perfect for outdoor dinning and entertaining guest on a patio. Beautifully styled and detailed design. Ideal for any garden or outdoor location. 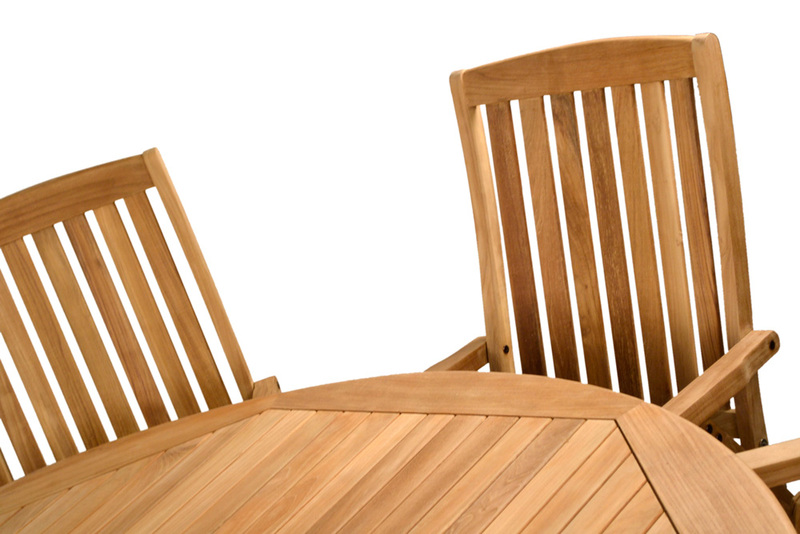 This table is shown here with chairs. However this item is for the table only. 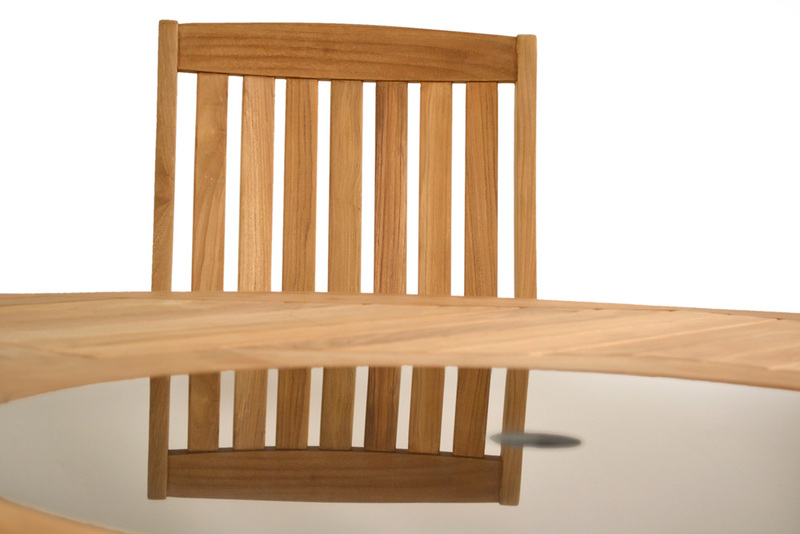 The same table set with chairs is available too. 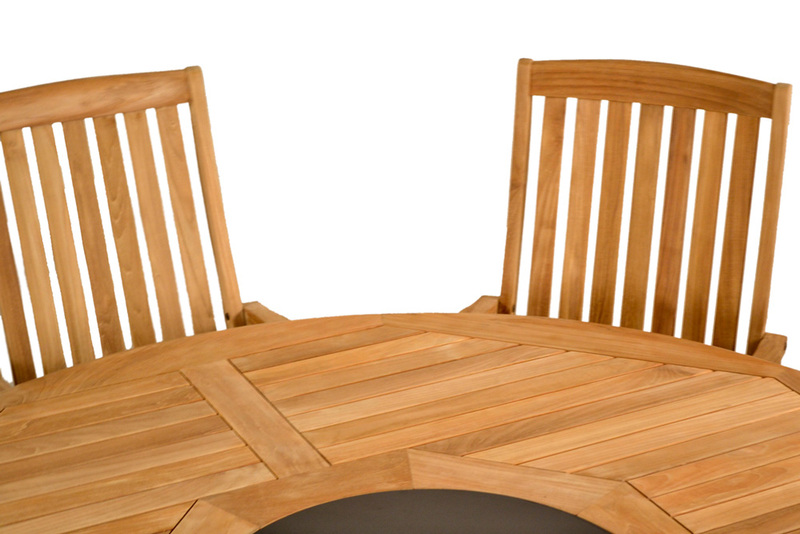 Feel like a king around your own round table while dinning with friends. 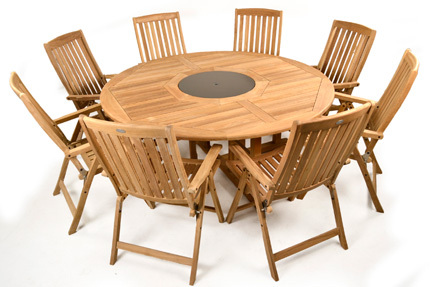 Ideal for entertaining, this classic round table will allow everyone to be involved in the pleasure of a lazy summer day spent relaxing. 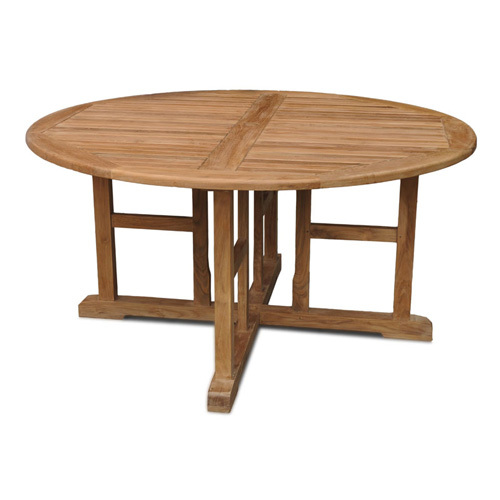 The table comes ready for alfresco dining, the unique leg design can allow equally spaced leg room for your extra comfort and ease.